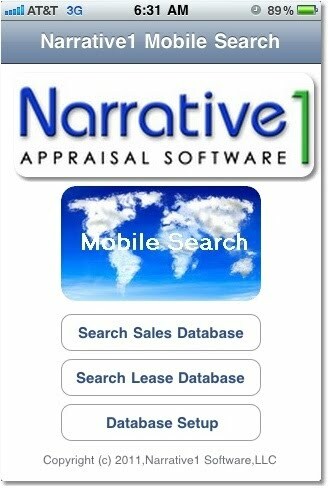 N1 Mobile gives you instant access to your Narrative1 Comps database information from your iPhone. Review and organize comps for your analysis while out of the office and away from your computer. View and retrieve additional comps while in the field (handy for reviewers). Easily email complete comp write-ups to associates from your iPhone, complete with images and supporting data (Excel) files.